David Reznick is a professor of biology at UC Riverside. Photo credit: UCR Strategic Communications. RIVERSIDE, Calif. – David Reznick, a professor of biology at the University of California, Riverside, has been elected a member of the American Academy of Arts and Sciences, one of the nation's most prestigious honorary societies and a leading center for independent policy research. With his election as a member of the academy, Reznick joins some of the world's most accomplished leaders from academia, business, public affairs, the humanities, and the arts. Members contribute to studies at the academy of science and technology policy, global security, social policy and American institutions, the humanities, and education. A total of 212 new members – 196 fellows and 16 foreign honorary members – were elected to the academy this year. Among the 2011 class of scholars, scientists, writers, artists, civic, corporate, and philanthropic leaders are winners of the Nobel, Pulitzer, and Pritzker Prizes; the Turing Award; MacArthur and Guggenheim fellowships; and Kennedy Center Honors, Grammy, Golden Globe, and Academy awards. The new class will be inducted at a ceremony on Oct. 1, at the headquarters of the American Academy of Arts and Sciences in Cambridge, Mass. At UC Riverside, Reznick studies evolution as a contemporary process and performs experiments on natural populations of organisms. He also studies how complex traits evolve in organisms. In addition, his lab studies the evolution of animal life cycles and conducts experiments for testing predictions from different facets of modern evolutionary theory in natural populations of guppies (small fresh-water fish that biologists have studied for long). Currently, the lab is engaged in experimental studies of the interaction between ecological and evolutionary processes. Scientists among the newly elected members include: astronomer Paul Butler, discoverer of over 330 planets; cancer researcher Clara Bloomfield, who proved that adult acute leukemia can be cured; public health specialist and former Mexican Minister of Health Julio Frenk; geographer Ellen Mosley-Thompson, who has led expeditions to Antarctica and Greenland; David Page, whose genome sequencing work has advanced understanding of human reproduction; theoretical computer scientists Avi Wigderson; and Nobel laureates Ei-Ichi Negish and H. David Politzer. “This is a well-deserved honor for Dr. Reznick, who has been in the forefront of evolutionary biology for a number of years. His work demonstrating the rapidity with which evolution can occur has revolutionized our thinking about how the biological world works,” said Thomas O. Baldwin, the dean of the College of Natural and Agricultural Sciences. Others included in the 2011 class of members are: jazz icon Dave Brubeck; documentary filmmaker Ken Burns; actor Daniel Day-Lewis; novelist Oscar Hijuelos; singer-songwriter Paul Simon; actor Sam Waterston; actor Helen Mirren and Nobel laureate Mario Vargas Llosa. Also included in the new class are leaders from public affairs and journalism, business, and social science, as well as educational, cultural, and foundation leaders. Reznick decided to take up a career devoted to evolutionary biology when he was a senior in Washington University, Mo., from where he graduated in 1974. Early in his career, he succeeded in experimentally testing predictions of evolutionary theory in natural populations of guppies. He showed that the rate of evolution in nature can be very high, on the order of 10,000 to 10 million times faster than had been inferred from the fossil record. Reznick obtained his Ph.D. in biology from the University of Pennsylvania in 1980. Subsequently, he was a research associate at the University of Maryland, supported by funding from the National Science Foundation. He joined the UCR faculty in 1984. 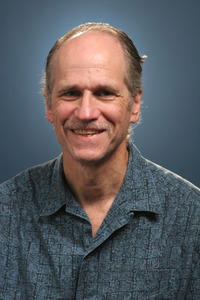 He was the Faculty Research Lecturer for UCR in 1998. In 2003, he was a recipient of the prestigious E. O. Wilson Prize from the American Society of Naturalists, which honors an active investigator who has made significant contributions to the knowledge of a particular ecosystem or group of organisms. He is the author of “The Origin Then and Now: An Interpretive Guide to the Origin of Species” (Princeton University Press, 2009), which makes Darwin’s “Origin of Species” more accessible by explaining its historical context, and converting it into more modern terms. He also has authored or co-authored more than 100 publications in internationally peer-reviewed scientific journals and edited books on evolutionary biology. Since its founding in 1780 by John Adams, James Bowdoin, John Hancock, and other scholar-patriots, the American Academy of Arts and Sciences has elected leading "thinkers and doers" from each generation, including George Washington and Benjamin Franklin in the eighteenth century, Daniel Webster and Ralph Waldo Emerson in the nineteenth, and Albert Einstein and Winston Churchill in the twentieth. The current membership includes more than 250 Nobel laureates and more than 60 Pulitzer Prize winners.